This worksheet is for beginners. 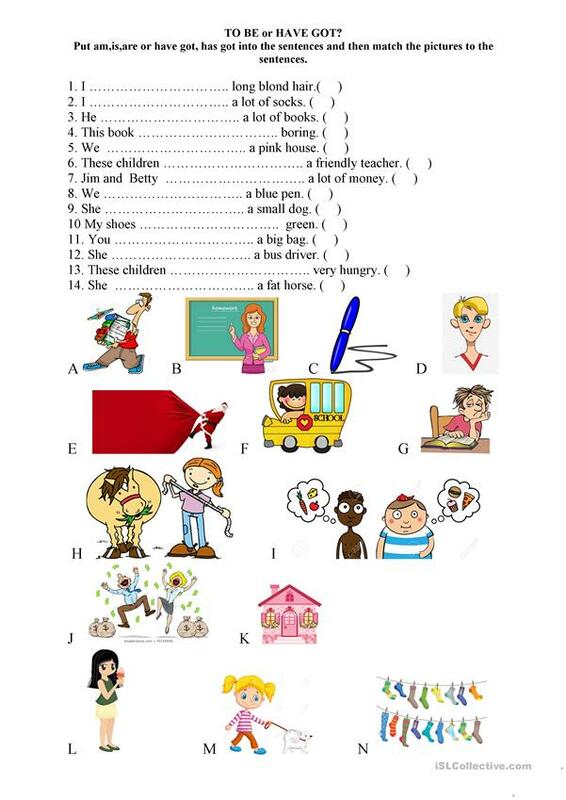 The objective of it is to practise verbs to be and have got.Students have to put the verbs into the sentences and then match the pictures to the sentences. The above downloadable teaching material is best suited for elementary school students at Beginner (pre-A1) and Elementary (A1) level. It is valuable for practising BE (auxiliary verb) in English, and can be used for strengthening your students' Writing skills. Edypia is from/lives in Poland and has been a member of iSLCollective since 2018-07-21 13:37:32. Edypia last logged in on 2019-01-10 08:25:21, and has shared 3 resources on iSLCollective so far.